Like desktop programs, smartphone apps generate or store various types of files on the phone. When you uninstall an app, Google Play Store may not remove these files. If you don’t remove useless data, your phone may run out of storage memory. Other apps may stop working and Google Play Store will throw the “Can’t install the app” error. This happens because phones carry 8GB to 128GB storage memory. Most of the storage space is utilized by media and OS files. When the phone runs out of space, apps won’t be able to save data to the disk. To free up space occupied by junk files, you must use an Android Cleaner app. The application will monitor storage memory. Whenever the phone runs out of memory, it will display a warning message in the notification center. If you’ve configured the application to clean junk files automatically, it will do its job. Below, we’ve shared the best apps to get rid of useless files from the phone. 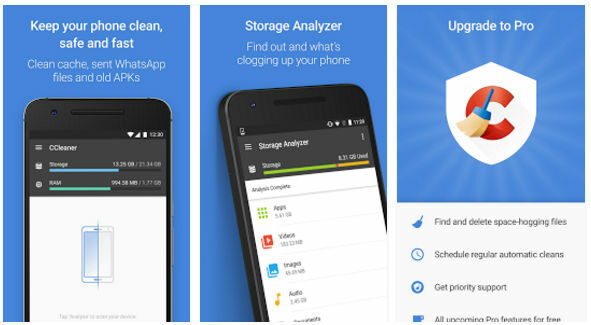 CCleaner is a small Android app that finds and deletes junk files from the mobile phone. It frees up space on your phone by deleting call logs, useless WhatsApp data, thumbnail cache, empty folders, browser history, APK files, etc. CCleaner has a brilliant interface. On its main window, the app boasts the amount of storage and system memory (RAM) the apps and services running on the phone are using. It also flaunts two buttons for analyzing the file system and cleaning junk files. The clean button is disabled by default. You can tap this button only after running the “junk file analyzer” tool of CCleaner. The analyzer runs for a while to find every bit of junk data. Once the analysis is complete, CCleaner displays a list of file types it has found on your device. The application will categorize the files into groups before displaying it on the screen of your phone/tablet. You can see the files under a category by tapping the category name. To select a file or categories, tap the checkbox icon beside the name of the category and tap on the Clean button. Although CC is a great app, it doesn’t have bulk file selection tool which means you have to select category or files manually. 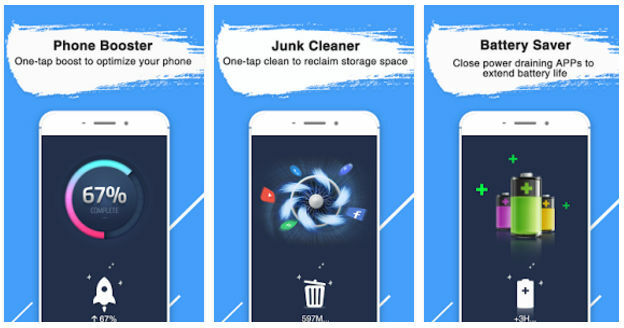 CCleaner enables you to schedule junk cleaning tasks on the mobile phone. The Clean Master Lite app keeps your phone virus free. It also improves battery backup by killing battery draining apps. Most importantly, CM Lite is effective in removing junk files. 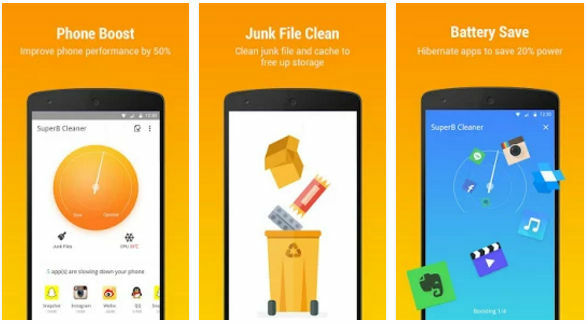 The app uses a smart algorithm to analyze files and mark junk files for deletion. It makes you aware of the new media files WhatsApp has saved on your phone. The app allows users to set reminders for storage optimization tasks. If you don’t want CM Lite to remove files generated by certain apps, you can add the task/app to the ignore list. Clean Master Lite allows users to create home screen shortcuts with which they can boost system memory or hibernate the phone quickly. This feature makes sure that the background apps won’t drain the battery when the phone is in the locked state. Users can configure CM Lite program to find obsolete APKs. It is a smaller app compared to CCleaner. 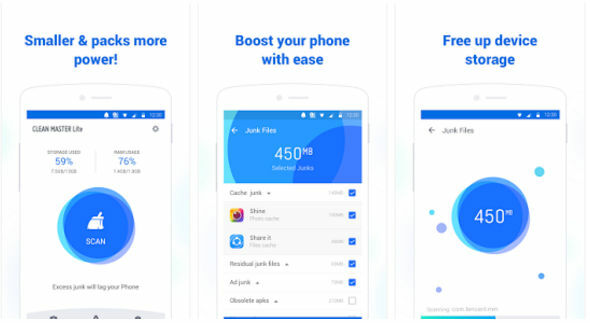 DU Speed Booster is a junk cleaner app that not only removes useless files from the system but also boosts its performance. It has a utility to fix phone heating problem. Like Clean Master, it features an antivirus utility. The app identifies obsolete or unwanted cache files, call logs, WhatsApp junk, etc. It is also effective in clearing cache files generated by YouTube. App locker function, smart charging mode. Network speed test and performance optimizer. DU Speed Booster is a powerful app. Over 200 million people use it on their Android device. Turbo Cleaner is yet another top-rated Android cleaner app. It features a game booster tool which ensures smooth performance of games by clearing RAM used by apps that you are not using. Turbo Cleaner allows users to add apps to ignore list. It ships with a Smart Locker utility which adds options to boost RAM, battery backup, and clean storage memory to the phone lock screen. TC can cool the CPU temperature by killing RAM and CPU hogging apps. It is one of the smallest Android cleaner apps on our list. Its APK size is 3 megabytes. SuperB cleaner is a lightweight Android cleaner app that flaunts similar UI as Turbo Cleaner. Users can configure this app to free up system memory and boost the phone’s performance when they close it. SuperB Cleaner includes a smart locker tool. When you enable this tool, you can manage notifications and speed up the phone from the lock screen. SuperB provides notification box feature that groups notifications of various apps. It can prevent phone from overheating by killing inactive background applications. 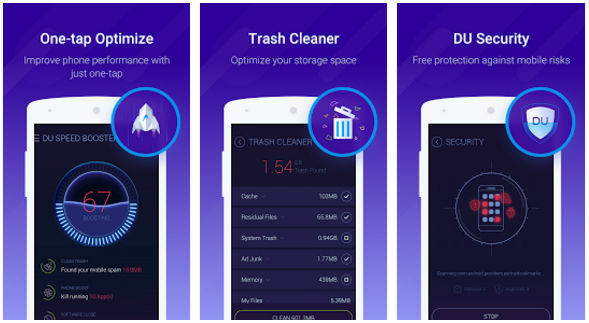 Conclusion: If your phone’s performance has deteriorated because of junk files or its storage memory is full, download one of the above Android cleaner apps and run its analyzer tool.